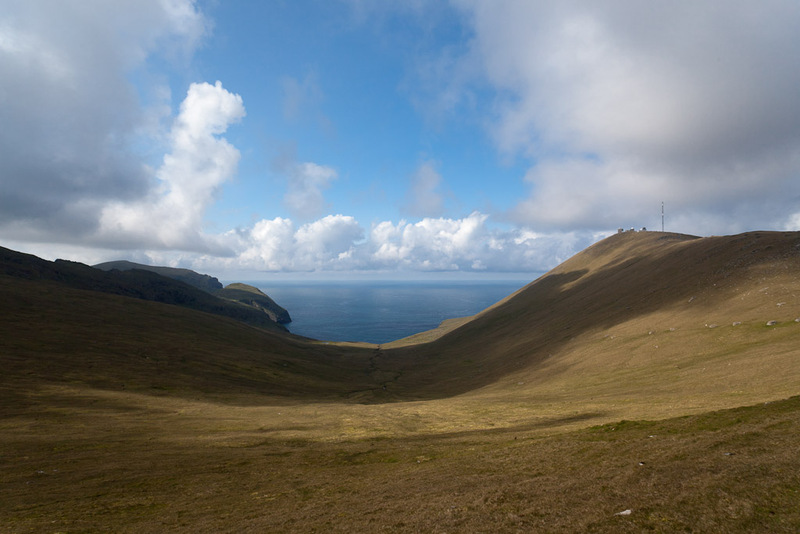 Hirta, an island of two valleys. 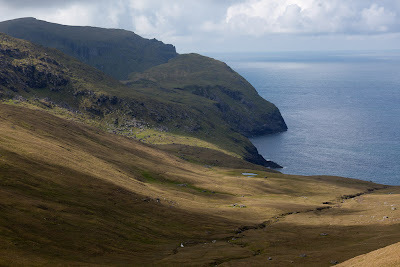 ...we got a great, bonxie's eye view of the valley down to the Village Bay area and the open ocean beyond. Away to the SE, the great stac of Levenish seemed to float above the sea. 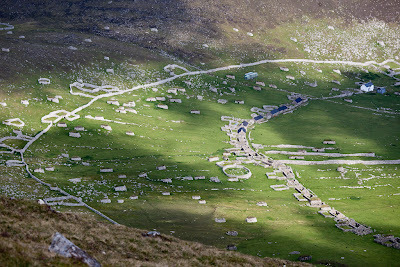 As we descended further, we could make out every detail in the Village; the whitewashed factor's house, the curving street, the circular wall of the cemetery and the head wall that ran right round the hill side of the village were all clear. 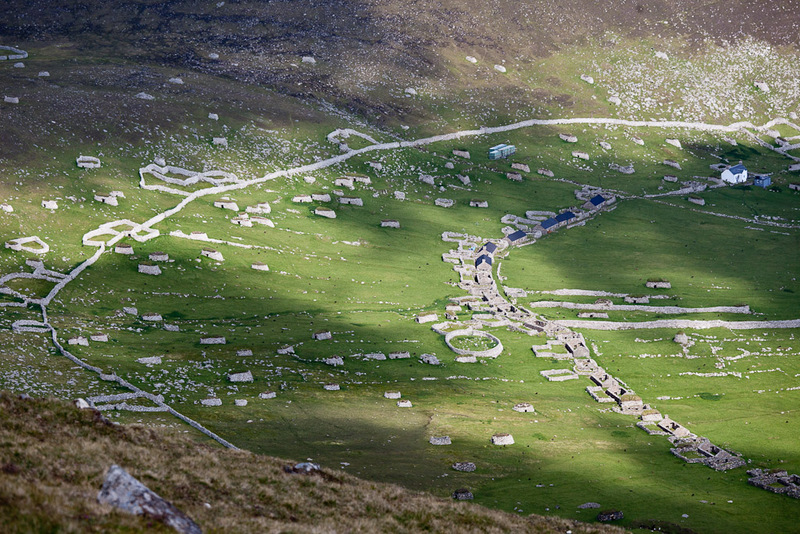 It was strange to think that this was about as much of the World as the vast majority of St Kildans ever saw. ...on the NW side of Hirta. This glen was probably permanently inhabited up until 1,000 years ago when the climate was better. 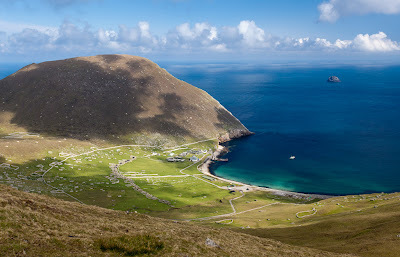 In more recent centuries it was inhabited only in summer. 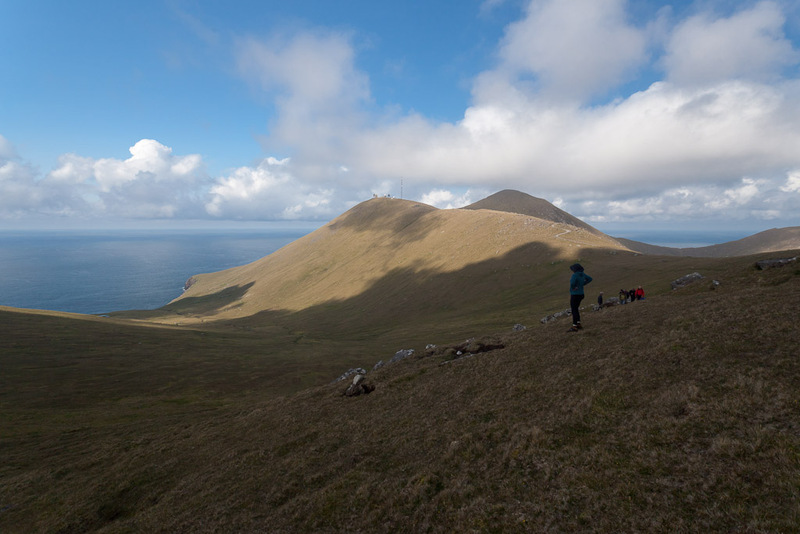 An ancient Iron Age wheelhouse, called the Amazon's House by Martin Martin in 1695, lies beneath the radar station on the slopes of Mullach Mor. 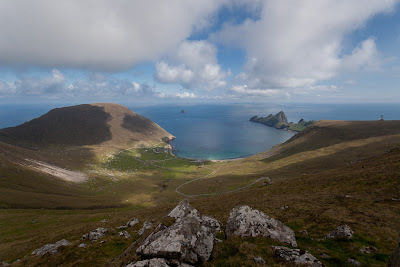 The Amazon was a mythological female warrior/hunter who roamed the great lands that in legend used to connect Harris to St Kilda before sinking beneath the waves of the Atlantic.